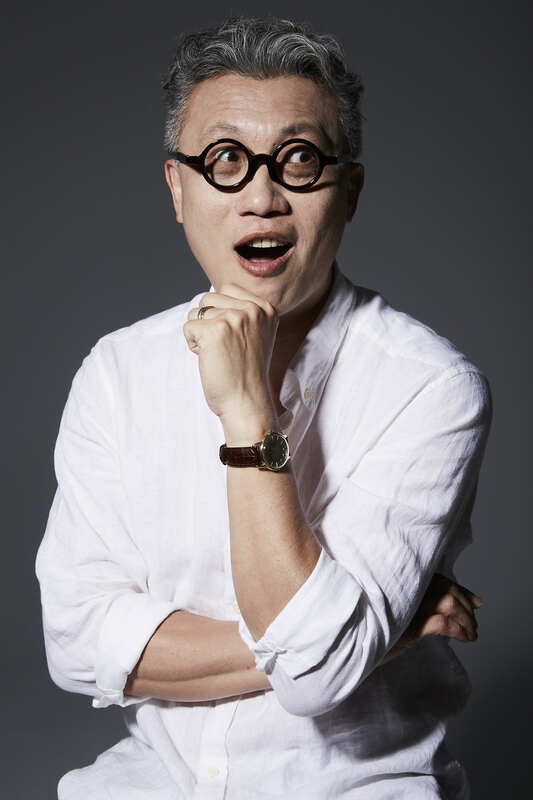 ← Wanna fall in love? 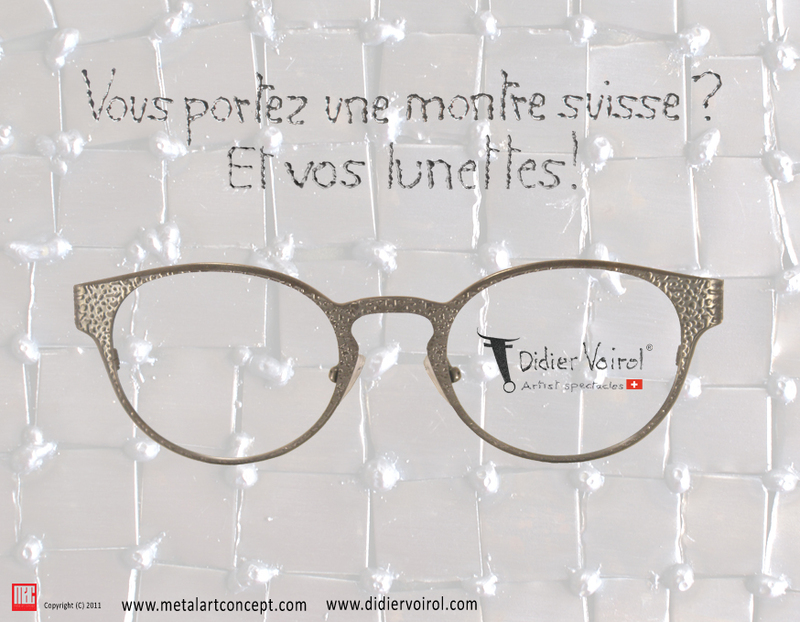 Are you tired of the eyewear frame made by pure steel,acetate,titanium? Here are whole new techniques beyond your imagination! 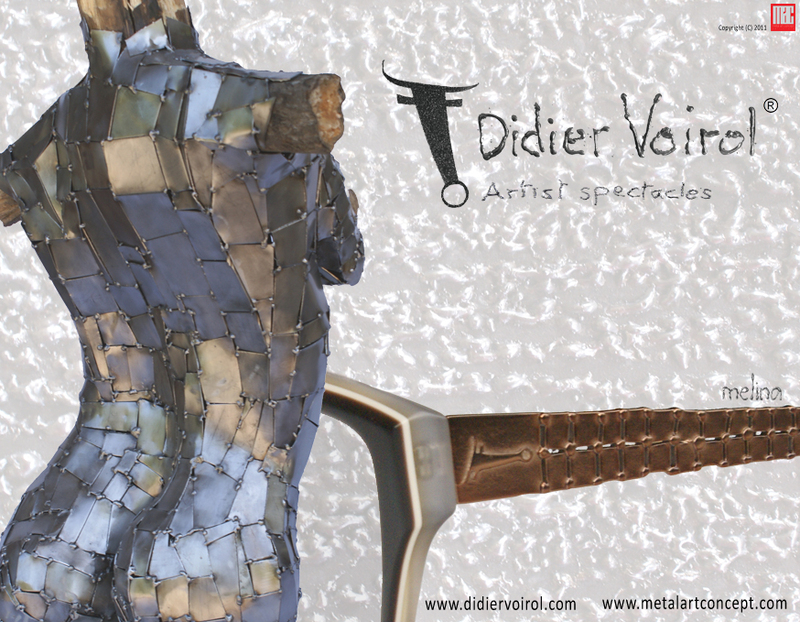 Didier Voirol, the founder and the designer of Metalartconcept,has launched the first eponymous collection” Didier Voirol” in SILMO 2011,that was featured by the unique techniques and creative materials against the tide. 1.Solder Points:An accumulation of spot welds, ground and polished. 2.Inserts:Hundreds of collected metal plates assembled with 4 to 6 spot welds. 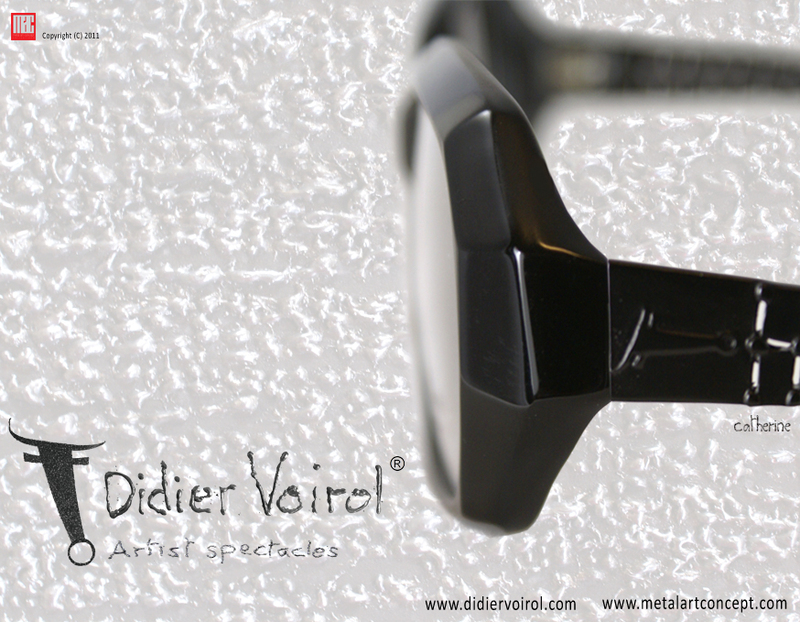 3.On cellulose acetate frames, Didier includes facets with polished or matt angles . 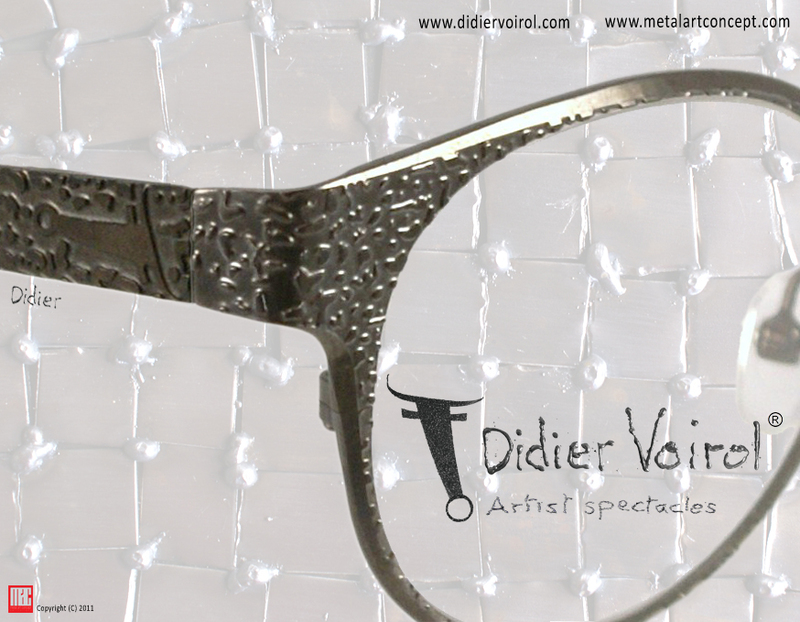 In January 2012, the first interferential PVD 5D treatment (a treatment that changes colour depending on viewing angles), which has never been used in the world of eyewear before, will be applied on the frames.